Visa Electronic Gift Cards are virtual cards that are accepted for making payments online, and if properly registered can even be converted to physical cards. You might have gotten a Visa eGift card as a reward for doing some tasks online or as a giveaway for, reviewing some products/ services like that of Capterra reviews, or loyalty reasons. 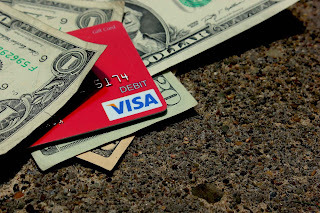 All the same, this article will guide you on how you can easily get cash out of your Visa gift card. There are two ways to go by this method; you either attach the Visa eGift card to your Paypal account and use it to pay someone for a service or you just send the fund to a Friend or Family's Paypal account. In order for this method to work, make sure the Visa eGift card has been registered with your correct address, otherwise it may be rejected due to security reasons. Paxful is another means of exchanging your Visa eGift card to Cash, the fees may be a little high except you are lucky enough to get a fair deal from a user on the platform. Paxful is a Bitcoin Marketplace that connects various Buyers and sellers all over the World. The platform is well regulated and you can not get scammed provided you follow instructions on the site. I won't be able to state a specific conversion fee since it varies with sellers. This is the safest and cost-effective means since there is no transaction fee except stated on the website you intend to transact with. With this method, you can help people pay their bills online using your Visa eGift card while you collect cash from them after the payment is successful. Some of the services you can pay for includes; Hosting and domain services, online eTop-up, and any other web services you can think of that accepts Visa cards. I decided to save this for last, due to the little risk involved. While looking for a way to convert some e-gift cards to cash online. I stumbled upon this page on reddit that is dedicated to exchanging giftcards for cash. To use this method, it is highly recommended you go through the Safe trading guide here in order to avoid getting scammed using that platform.